The second day of the Official 2014 Star Trek Convention in Seattle got off to a great start with Jeri Ryan of Voyager. Ryan started answering questions almost immediately, much to the delight of her eager fans. 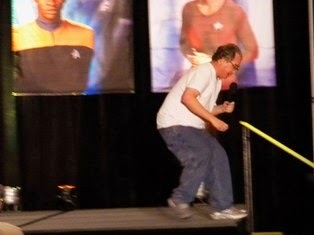 Enterprise’s John Billingsley brought one of the most lively performances I’ve ever seen. He didn’t give a lot of insight about working on the show, but his high energy kept the audience entertained. Upon taking the stage, Billingsley challenged the audience to ask him the most embarrassing questions they could think of. He even had a “prize pack” for the winner – the prizes being whatever Billingsley could gather in his hotel room and included a banana, a can of Coke, and some various toiletries. Throughout the hour, Billingsley told jokes, did an interpretive dance, convinced a fan to show his back hair, solicited tongue brushing advice from a dentist in the audience, and had a “who has the biggest belly” contest with a fan. 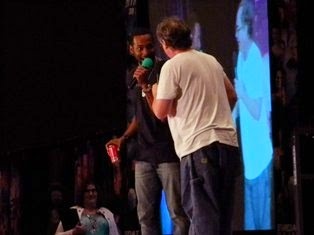 Billingsley was even briefly joined on stage by former cast-mate Anthony Montgomery. 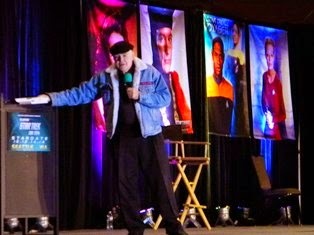 Star Trek legend Walter Koenig closed out the evening. 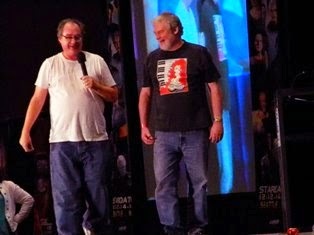 Koenig entertained questions from the many fans there to see him. Koenig discussed working on the original series and his surprise at reprising the role of Chekov in the first motion picture. 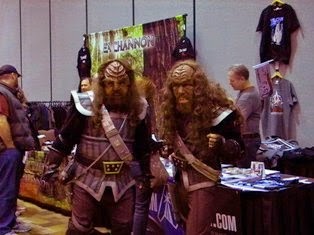 Koenig also shared his experience in visiting the set of Deep Space Nine during the filming of the episode “Trials and Tribble-ations.” During his visit he noticed the cast was having trouble using the old-school transmitters and seized the opportunity to give them in lesson. It’s always a special treat to see a member of the original cast. 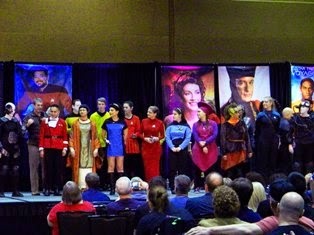 And lastly, no Star Trek convention would be complete without a costume contest. Don’t forget to follow our live coverage on Twitter and Instagram.